Match-fixing investigators in Europe believe governments in Asia are refusing to tackle betting fraud in their own countries. 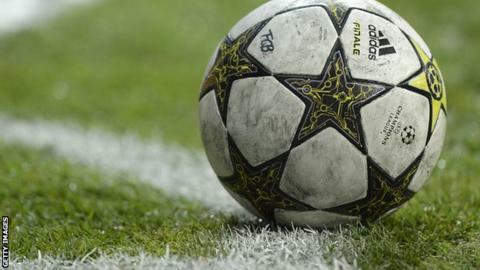 European police forces revealed 300 new cases of potential match-fixing in The Hague earlier this week. These 300 games, which were played between 2008 and 2011, are linked to 380 cases already uncovered in Europe. "It is the same crime cartel in Singapore, no doubt about it," said Friedhelm Althans of German police. The new games under question are mainly internationals played in Africa, Asia and Central and South America, and investigators feel there is a connection to those they consider are behind attempts to rig games throughout Europe. Inquiry started 18 months ago. Initially involved Germany, Finland and Hungary, before being extended to Slovenia and Austria. Ended up looking at 680 matches in 30 countries. A total of 425 suspects were identified. 50 people have been arrested. A number of criminal investigations now taking place. The European Union's law enforcement agency, Europol, say they have uncovered an organised crime syndicate based in Asia that is co-ordinating the operation. "We know who they are. We agreed not to name them on Monday but you only have to look at the internet to find their names - anybody can do it," added Althans, the chief inspector at Germany's organised crime task force. When asked if one of these names is Dan Tan, a Singaporean who is the subject of an international arrest warrant issued by global police agency Interpol, Althans repeated that he could not give names, but said the individual is well known to police forces around Europe. Last year, Italian court papers identified Tan - real name Tan Seet Eng - as being the leader of a network of violent criminals who had fixed 33 games in Serie A and Serie B between 2010 and 2011. Tan, in an interview with Singapore's The New Paper in 2011, said: "Why I'm suddenly described as a match-fixer, I don't know. I'm innocent. "If there's anything against me, I can take it to court and fight it." Declan Hill, a Canadian journalist who has written extensively on this subject, has tracked Tan down to a plush neighbourhood in Singapore where the 48-year-old leads a life of luxury, unfettered by police interference. In response to a question from Hill as to why they had not arrested Tan, Singaporean police said they would "need more information before deciding on our follow-up actions". Althans' response to this speaks volumes. "I don't know the law in Malaysia or Singapore, but I can't imagine (match-fixing) isn't illegal. But I don't know what's going on there. "I'm not a politician, I'm an investigator. I can try to identify this cartel and we have. What happens next is up to the justice system." His frustration is shared by Fifa president Sepp Blatter, who told reporters in Mauritania on Thursday that football is almost powerless to prevent the sport from being corrupted by determined criminals. "We know there are games that are manipulated and we also know it is very, very difficult to get the organisations (behind the scams)," said Blatter. "This is a serious danger. If games are rigged, there is no interest in watching football." Chris Eaton, the former head of security at Fifa, agrees with his ex-boss's bleak view of how vulnerable football is to corruption, but says it is not football's fault. "Football and all sports need to protect themselves with good regulations and business practices - and they could do that better - but it is not up to them to respond to organised crime," said Eaton, now the director of sports integrity at the International Centre for Sports Security. "The real issue is betting fraud, without that there would be no money to fix matches. So governments have to regulate international gambling at a global and collective level. Not a national level or regional level. "The amount of money gambled on sport every week runs into billions - it's a pot of gold for organised crime, particularly in south-east Asia, where it is very under-regulated. "Governments around the world need to realise the massive amount of money that is available for organised crime through manipulating sports results. And criminals use this money for all kinds of other nefarious activities." "We are talking about real gangsters here, absolutely," he said. "We found that many of these people were involved in international drug-trafficking, but they moved into match-fixing because it was easier, less risky and more lucrative. "And they use violence to intimidate. That varies from country to country - it is not so serious in western Europe - but in eastern Europe, the Balkans and Asia, it is very serious." Finding a global response to this scourge will be top of the agenda at a global meeting of sports ministers in Berlin in late May, although a consensus will not be easy with the very issue of gambling being highly controversial in many Asian societies. But without at least some set of agreed principles - and a commitment to honour international arrest warrants - the likes of Althans and Eaton face a thankless and ultimately futile task.